than an emergency stop for patients when a problem suddenly strikes: On the contrary, our goal is total wellness, and we use a "whole person approach" to helping patients reach their healthy living goals. Dr. Masula has been providing care for people in the Chico community for years, and his goal is to release his patients from their pain conditions, whether it be short-term pain or a recurring problem, like vertigo, that has not been responsive to traditional medical treatment. 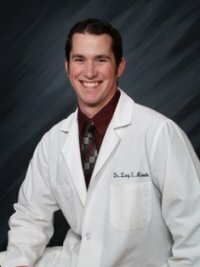 Dr. Masula has treated conditions as varied as vertigo, herniated discs, neck pain, shoulder pain, sports injuries, personal injuries, inner ear ringing, motorcycle and car accidents, and even injuries or conditions that can result from daily activities like gardening or basic exercise such as carpal tunnel. With the experience that chiropractor Dr. Masula already has, he has decided to expand his focus into new areas. As a wellness doctor, Dr. Masula designs prevention plans and helps patients to improve their lifestyles. The total wellness approach to medicine means that problems are anticipated and dealt with before they arise. Rather than sitting back and waiting for injury to take patients down, our chiropractor and wellness doctor seeks out any deep underlying problems going on in the body. When these problems are discovered, good health can be aggressively pursued and injuries can often be avoided before they even happen. help patients speed up their healing, and beyond that, he wants to speed up each of his patients on their journey to whole body good health. The methods used by Dr. Masula, our Chico chiropractor, may vary from gentle spinal manipulation to massage to spinal decompression. Whether the patient needs only a quick adjustment or spinal decompression, we are here to help the patient on their way to good health. We want to invite you to give us a call, browse our website for information, and come in for a consultation. We would love to show you what chiropractic and wellness care can do for you. More than just a way to relieve an aching back or chronic headaches, chiropractic can give patients a whole new outlook, and make them feel like they did at their peak! Call us at 530-342-6441 to schedule an appointment today.